Being in youth ministry has its challenges. But it has its rewards. Hugging her Mom and brother, Donnie, who were also baptized. 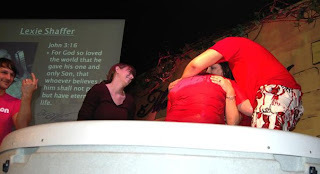 Emily being baptized last year. 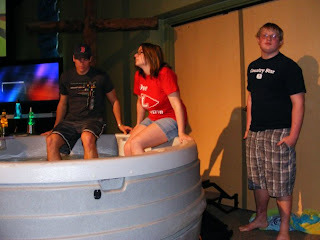 Josh baptizing Miki and Tyler. The horribly sad thing is that... 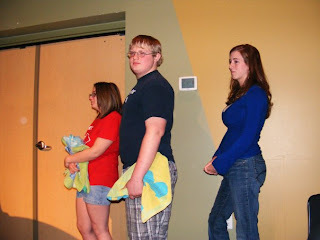 I used to get annoyed during baptisms at church. I would think things like, "ughhhh now we're going to be here late"
It's such a beautiful picture. Dying to the old, sinful life. 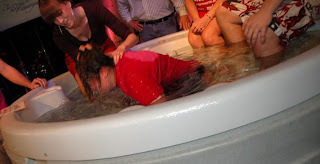 Raising to new a new life, fully surrendered to Jesus Christ.